Do you need a New Jersey employment lawyer? Since 1993, Christopher P. Lenzo has represented employees seeking help. 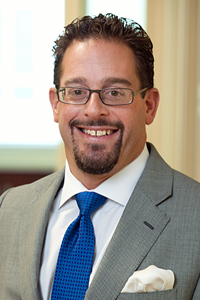 His areas of specialty include all areas of employment law, such as negotiation, mediation, arbitration, trial litigation, and appellate litigation of claims of discrimination, harassment, whistle-blower retaliation , wrongful discharge, failure to accommodate disabilities, family and medical leave violations, breach of contract, and wage and hour violations. When your employer attacks your livelihood, more than just your income is at stake. The physical health and emotional well-being of you and your family are at risk. We understand that and fight to make adversaries, judges, and juries understand it too. In his practice, Mr. Lenzo has litigated several reported cases, some of which involved landmark decisions. He and his colleague Claudia Reis won a $1.549 million jury verdict in a retaliation case against New Jersey Transit after a month-long trial during 2009. If you or a loved one needs an employment lawyer, contact Chris today.